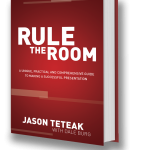 The Top 3 Things Your Body Language Should Convey - Presentation Skills Training - Online Public Speaking Courses | Rule the Room Today! 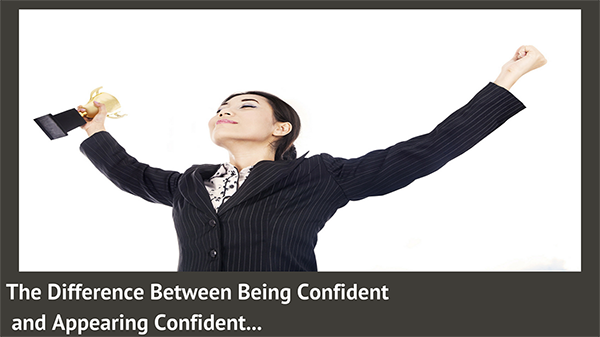 Start showing confidence today! 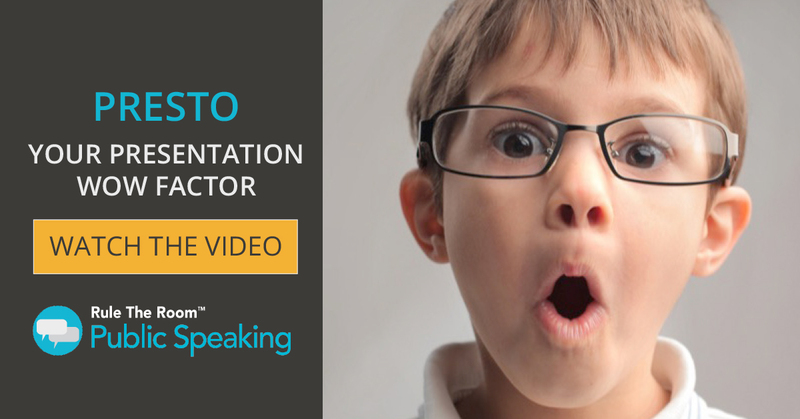 Make them say "Wow, what an amazing presentation!" 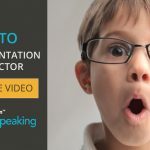 with Presto: Presentation Wow Factor, and learn how to create and deliver a presentation capable of actually changing peoples behavior. I recently watched a presentation by a history professor who is well known in his field and extremely knowledgeable. He had given out evaluations afterward, and I asked about the results. Did Somebody Say Body Language? From having observed his presentation, I knew what the problem was. Though he knew his subject very well, his language, his voice, his facial expressions, and his body language didn’t show confidence. This is why the audience found he lacked credibility. To seem credible, what you actually know matters less than what your audience thinks you know. Some people might be nervous but manage not to show it. More unexpectedly, people who feel quite sure of themselves may not convey that to audiences. Check Out this Perfect Example! I interviewed a woman for a project management position that required her to give a lot of presentations. I asked her how she felt about speaking to groups of people. “Do you give that impression to your audiences?” I asked. “But you were?” I persisted. “Definitely. And I assumed that’s what I conveyed. But when I saw myself on video, I realized that wasn’t so.” She replied. 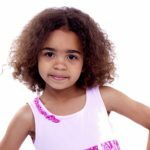 Just as there is no automatic link between being and appearing nervous, there is not necessarily a link between being confident and appearing confident. …but you have to convince the audience that you are. 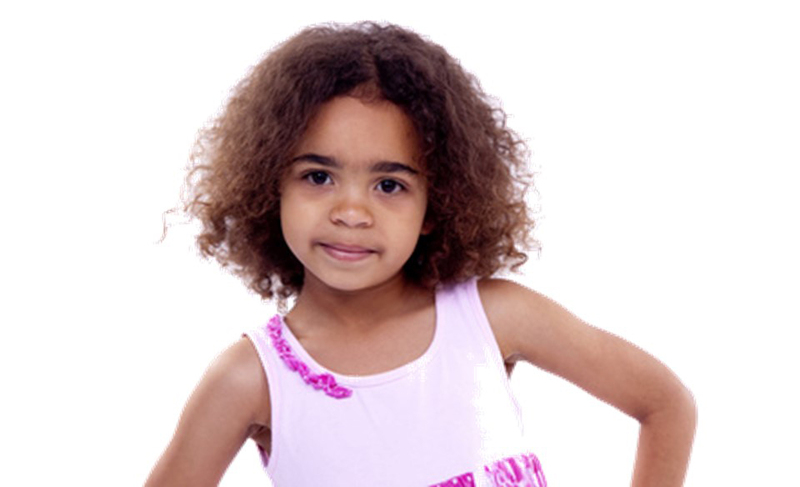 So, what are the top 3 things your body language should convey?